viaLibri ~ Bunting] Crithophaga Miliaria. London: Henry Sothern & Co, 1862 - 3 - Size: 540 x 357 mm. Fine condition. Lithograph. Original colour. 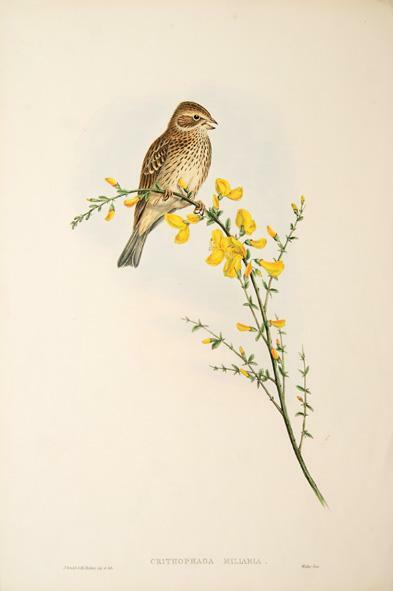 Gould's Birds of Great Britain. The accuracy of depiction, the composition of each plate, the vibrant and precise colouring, and the sense of motion captured in the plates is overwhelming.